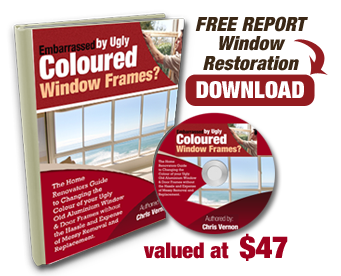 You are here: Home > How Much Will I Save By Painting Aluminium Windows? 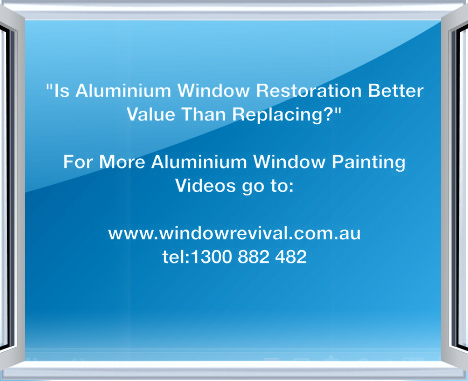 How Much Will I Save By Painting Aluminium Windows? I’m often asked by clients: “How much am I going to save by painting my windows over replacement?” And in 20% of cases, I give a replacement recommendation, because the cost savings are minimal. However, in 80% of onsite visits I have been able to save clients tens of thousands of dollars over the replacement option. For example, if your renovation plans don’t include repainting inside and out, rendering or replacement of tiling, or you’ve already finished renovating, then getting Window Revival to paint your windows will save you thousands of dollars compared to replacement. As a rule of thumb if you don’t take into consideration the damage to surrounding surfaces that will be caused by ripping old windows out, then window painting will cost between 25% to 50% of the cost of replacement- just depending on whether you just paint one side, or both inside and out. We have clients tell us regularly that they saved at least 65% on the replacement cost by painting their windows. Please don’t just trust me, listen to what Nick Belous of Rochedale, a primary school teacher who we helped, had to say about how we saved him at least 65% on the replacement cost. 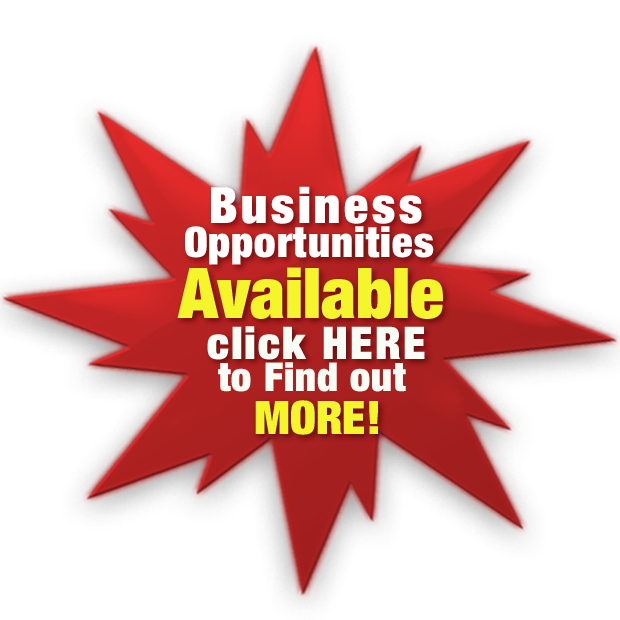 To listen to Nick’s video testimonial, Go to YouTube and search “Window Revival Nick”. There are situations where the cost savings of painting versus replacing are minimal. For instance, if you’ve already gutted your home with the intention of replastering, repainting inside and out, retiling and fixing up render if your house is rendered and your old windows are badly corroded, and the glass is in poor condition and to top it off, the rubbers are virtually dead, then we would suggest you push your windows out and get new ones. Each job has its own unique set of circumstances that need to be factored in. That’s why all site visits are conducted by a trade supervisor and not a salesman.